The 2014 FIFA World Cup in Brazil kicks off today in a heated match between Brazil and Croatia. Prepare yourselves for action packed futbol as the finest players from around the world go head to head to defend their countries in the hopes of bringing home the World Cup Trophy. The tournament runs through Sunday, July 13. Are you ready?!? Now is the time to get into the spirit of the competition. 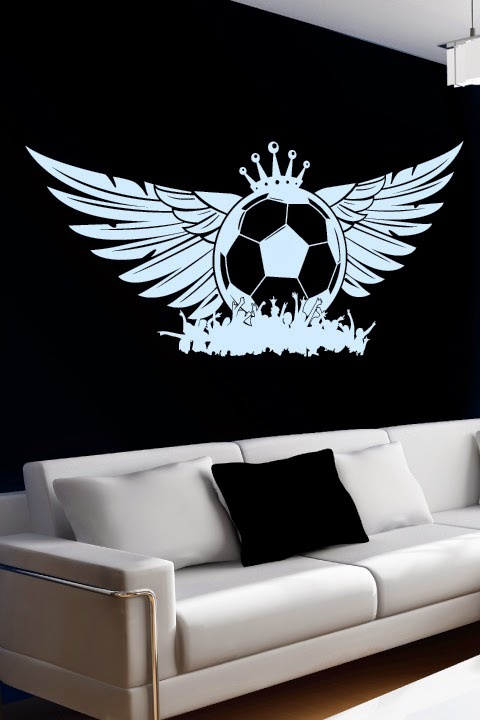 WALLTAT Wall Decals has created World Cup inspired Soccer Wall Decals available in 34 vinyl colors to best represent your team. 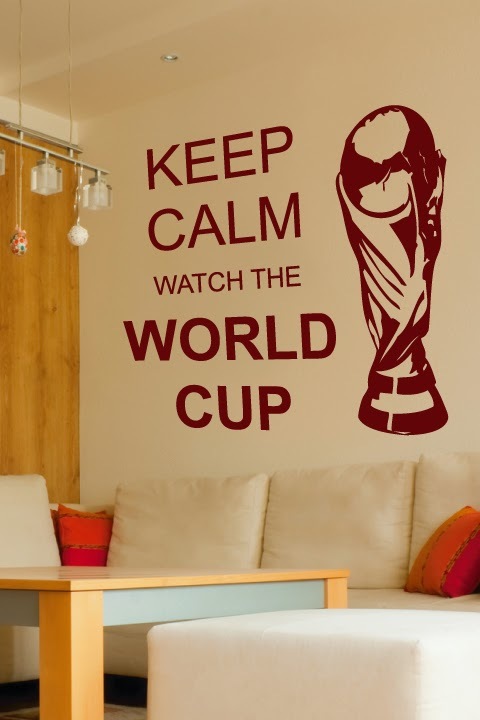 While absolutely loosing your mind as your team battles on the field, this Keep Calm Watch the World Cup Wall Decal will help you catch your breath and keep your eye on the prize. 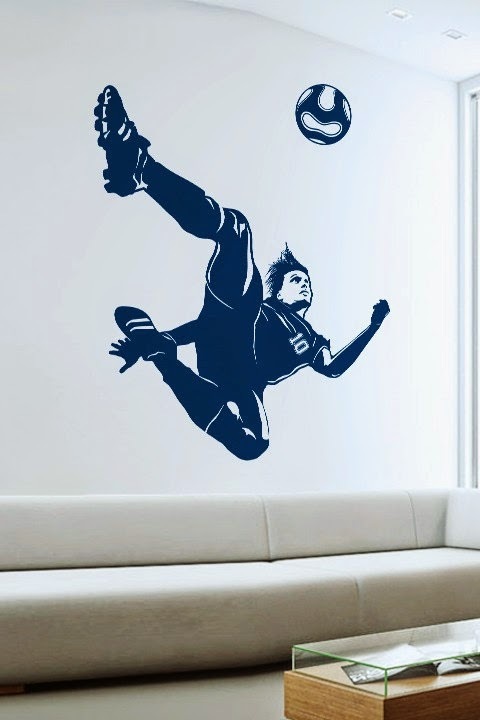 Feel the presents of greatness as this #10 soccer player wall decal scissor kicks a winning goal on your living room, rec room or bedroom wall! GOL!!!! Support the kings of futbol with this crowned soccer ball with wings surrounded by an adoring crowd of cheering hopefuls below. 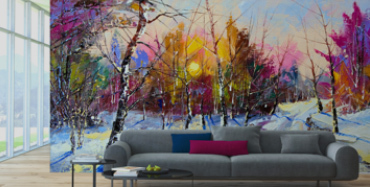 Perfect to transform your TV room into a stadium all your own.